WATCHING my team Middlesbrough play may seem to drag some times, but two local football teams in Cheltenham have broken the actual world record for the longest football match. The two teams, Cambray FC and Cotswold Churches League All Stars, played for 35 hours, with the final score standing at Cambray 293, All Stars 333. A total of £30,000 was raised towards the building of a school in India with the match. 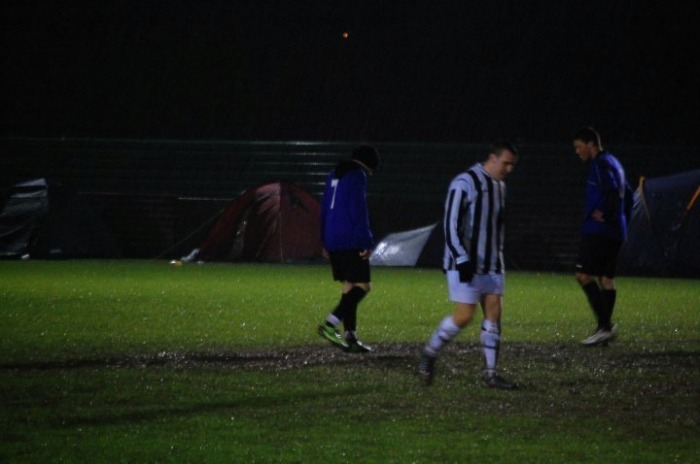 A Cambray spokesman said: “The event was played in changing conditions. On Friday it was overcast, warm and very dry with the pitch rock hard. “Saturday during the day was sunny, and then come 5pm on Saturday evening it started to rain torrentially and continued to rain heavy for 15 hours non stop resulting in a complete mud bath on the pitch and very wet players.